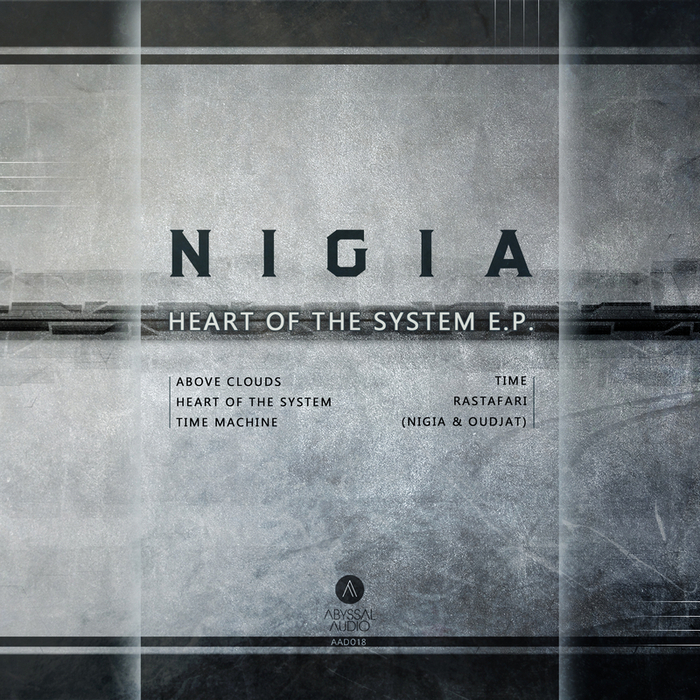 Young Belgian upstart Nigia makes his Abyssal debut with a beautiful five track document; it's a deep meditative affair from the off as the stretched strings moan and wheeze mournfully on the opener "Above Clouds". Deeper again "Heart of The System" drives us into the heart of the dance with a hypnotic percussive rhythm and pulsating sub while "Time Machine" follows suit but with cathedral level echoes and reverberation. Those looking for more of a techno-like insistency to their dub should pay attention to the persistent plods of "Time" before we climax with a meditative herb homage "Rastafari". A highly accomplished label debut.